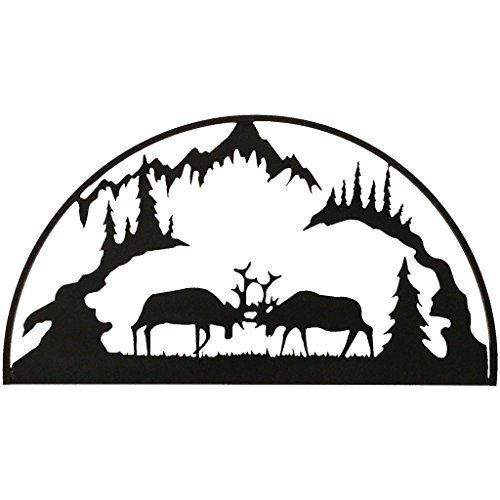 The hammered black finish on these unique fighting elk scene sculptures gives them a very clean and simple look. 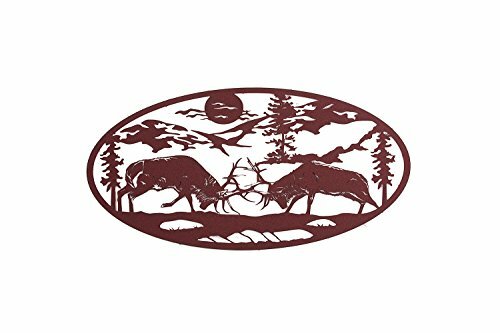 This design works well for higher end adirondack and lodge decor. 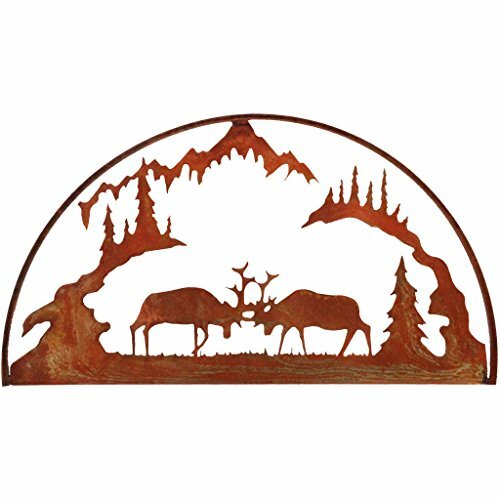 The curved outer frame on this fighting elk silhouette adds just a touch of dimension to this simple and elegant piece of art. Elk wall or garage art. Great for indoors or outside. Overall dimensions are 30 inches wide by 17.25 inches tall. Cut from 14 gauge steel. Shown in black - choose your color in options. Includes color matching screws for mounting. 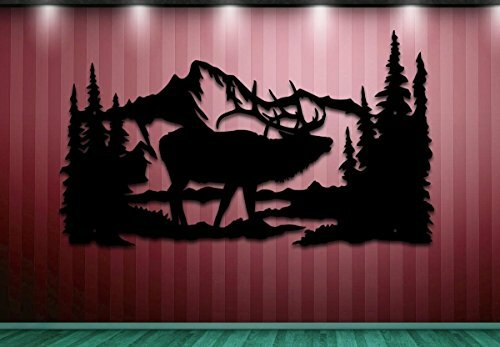 Elk Fighting Scene Wall Art Home Decor - 36 in X 18 in Oval Shape We take great pride in our work which shows in the quality of our wall art, whether it is a heart pumping scene of elk locked in battle or the majestic beauty of a monster buck silhouette. 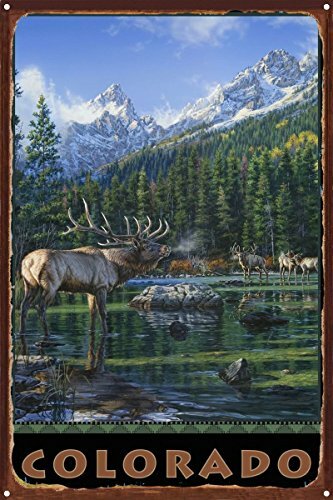 Your friends and family will be sure to notice your wall art which captures the beauty of the great outdoors. Perfect for your office, man cave our any room in your home. The frame is pre-drilled for easy mounting. 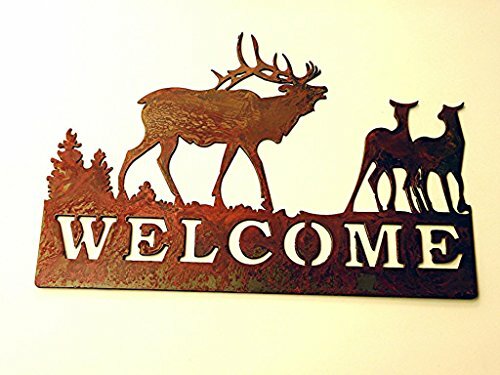 Fun and welcoming, these crafted wildlife signs are available in a choice of moose, bear, or eld designs. 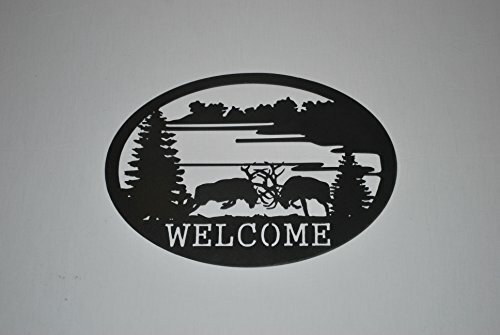 Sized at 15" wide x 10.5" tall, and made in high quality 18 gauge steel, these signs will give a lift to any home. 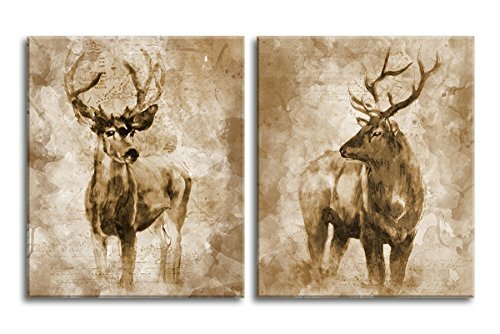 The natural rust patina finish on these unique fighting elk wall sculptures gives them a very clean and simple look for higher end Adirondack and lodge décor or more traditional spaces. 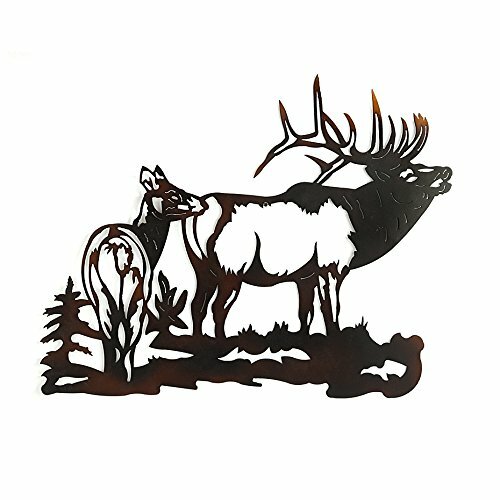 The curved outer frame on this metal fighting elk silhouette adds just at ouch of dimension. Copyright © Wholesalion.com 2019 - The Best Prices On Elk Metal Art Online.